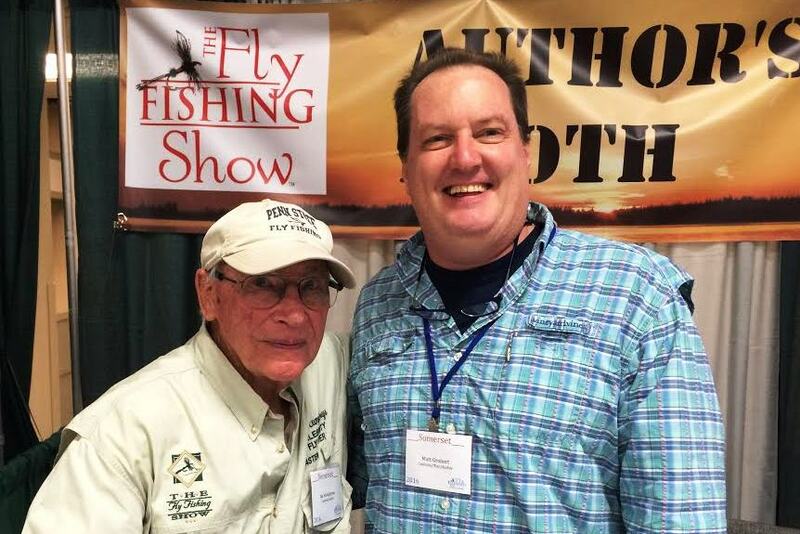 We had a great time this weekend at the the Fly Fishing Show in Somerset, NJ this past weekend. Lots of folks visited us at the tying table, and my seminars were well attended all three days. The highlight of the weekend was spending time in the Author's Booth with Joe Humphreys. 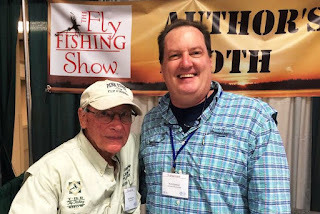 After the initial run of folks stopping by to have their books signed, we sat and chatted about the Living the Stream film project (see my post on 1/22/16) about Joe's life and times fly fishing and all things connected to it. 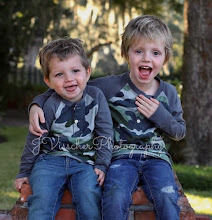 He also managed to slip in a couple short stories about life events that shaped him over the years. These brief moments with people like Joe are the ones that are the most fulfilling as they give us with a unique perspective that only those with a life full of experiences and passionate pursuit can provide. If you ever get an opportunity to spend even a few minutes with an "old-timer" like Joe, take it and open both your ears and hold your tongue. I'm still smiling when I think about the conversation with Joe.